Ronald Dong's highly effective variation of the Crease Fly. designed for assorted species in the Sea of Cortez, Baja. 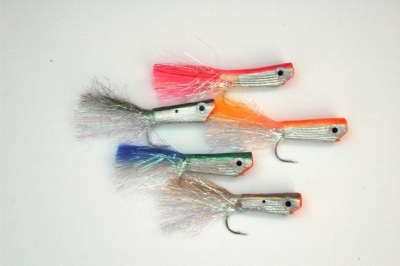 These imitate the popular Baitfish "Sardina" .